A Detroit teen overcomes a mountain of roadblocks to become the first in his family to earn a high school diploma — his ticket out of the inner-city. Can't Hold Me Back follows Detroit teen Fernando Parraz as he overcomes a mountain of roadblocks to become the first in his family to earn a high school diploma — his ticket out of the struggles of inner-city poverty and violence. He finds support from an unlikely figure: his father, a former gangster who has suffered the costs of his own mistakes. 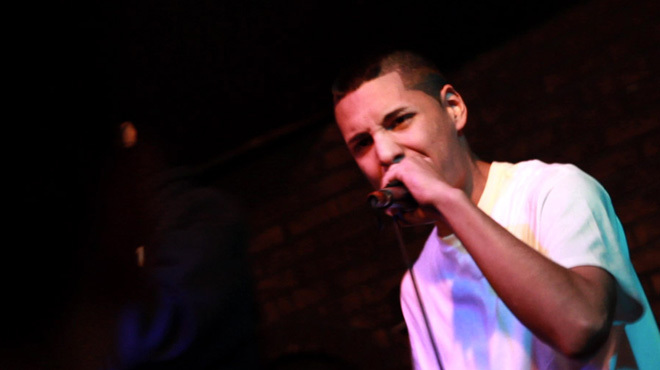 An accomplished rapper and budding filmmaker, Fernando’s voice is an important element in telling his story in the film. His rap lyrics shine light on the burdens he carries, his insecurities, and his dreams of revitalizing Detroit.